Education project is an important component of multi-pronged strategies adopted for the reformation in the Central Jail Amritsar. It is a matter of fact that prisoners are a part and parcel of our society and so it is our moral responsibility to enable them to catch up with the rest of the society. The main objective behind this project is to make best utilization of the time of the prisoners and to develop positive and constructive thoughts in them. Our endeavor is to insert creativity in their mind in place of criminality. These activities are not only helpful to impart education to the prisoners but have been proved as an important tool of stress management. Educational activities will thus keep them occupied and so will help in releasing and reducing stress levels. This in turn will consequently enable them to contribute something positive and constructive for the society inside and outside the jail. 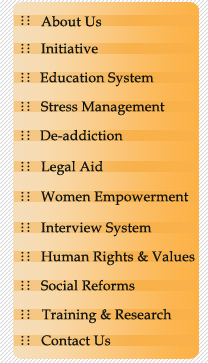 It is also helpful in the overall Human Resource Development of the nation. A Library has also been set up for the prisoners with the books donated by the community. A unique school has been established in the jail after a modest renovation of existing infrastructure where educated prisoners have been inducted as faculty members. It is a project for the prisoners, by the prisoners and of the prisoners. The Principal of the centre is also a prisoner having M.Sc. and Ph.D degrees. Faculty members are amongst the educated prisoners, most of them are Graduates and Post-Graduates. The Coordinators and Assistant Coordinators have been nominated amongst the prisoners at each level. 1. Faculty of Higher Education: This faculty is organizing preparatory and refresher classes for the students who are pursuing for BA, MA, Giani, MBA and other Post Graduate Diploma etc. 2. Faculty of continuing education: In this faculty the prisoners who want to pursue for the 10th and 10+2 standard are provided basic guidance and refresher classes. 3. Faculty of Languages: In this faculty basic knowledge of various languages-- Punjabi, Hindi, and English is imparted. Many students are pursuing English speaking course. With a view to impart vocational education, a full fledged Computer teaching centre has been set up in the Central Jail. This centre was started with the help of some computer educated prisoners and computer-sets donated by the community. We have prisoners who are M.Sc. in Computer Science and in Information Technology. 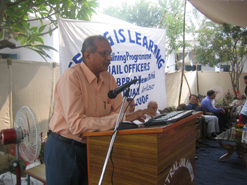 Initially, Basic learner's course was started for the prisoners. This centre has now been recognised by the Guru Nanak Dev University Amritsar and specially designed Certificate courses have been started by the University. The University has also provided computers and also a Computer teacher. At present there are more than 20 Computers in this centre. 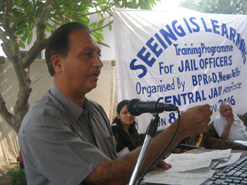 Under total literacy programme, all the illiterate prisoners have been associated with literacy project. Around 300 prisoners are getting basic education in this project. The students have been divided into 10 batches, each batch comprising of 30 students. There is one Coordinator and one Assistant Coordinator for this project. Classes are arranged in the respective hostels with the help of educated prisoners. For each hostel, there is one teacher and one Assistant teacher. The course curriculum covers Punjabi Language and Basic Mathematics. In the second phase, some more courses like Carpentry and Fabric painting are likely to be started. The duration of these courses is six months. This centre is affiliated with and managed by the Department of Adult Continuing Education and Extension. The University has made provisions in the annual budget for this purpose. 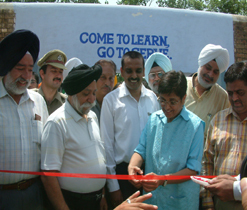 It was inaugurated by Dr. Kiran Bedi on 27.05.2006 at a special function held at Amritsar Central Jail. 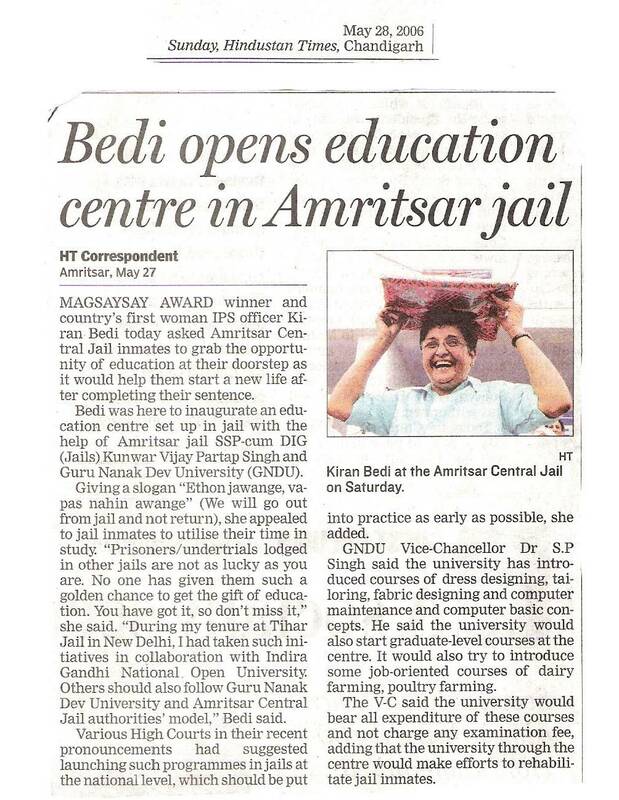 Speaking at this occasion, Magsase Award Winner, the first lady IPS officer of the country, Dr. Bedi appreciated the initiative made by Kunawar Vijay Pratap Singh, DIG Central Jail, Amritsar and Sh. S. P. Singh, Vice Chancellor of the University to establish the first of its kind centre in the country. It is pertinent to mention here that many of the officers including the Superintendent and Deputy Superintendent are also pursuing various courses especially Certificate Course in Human Rights. Education and Community Participation: This project is fully supported by the community. People willingly come forward to donate books, stationery and other study material. India Vision Foundation is playing key role to support this project. Some of the prisoners are also supporting this project by donating books, computer sets and other materials.